Happy Earth Day! All Items on Sale! Every Sale Supports Environmental Causes! We Give Back to Sea Shepherd, Oceana, NRDC, and Many More. 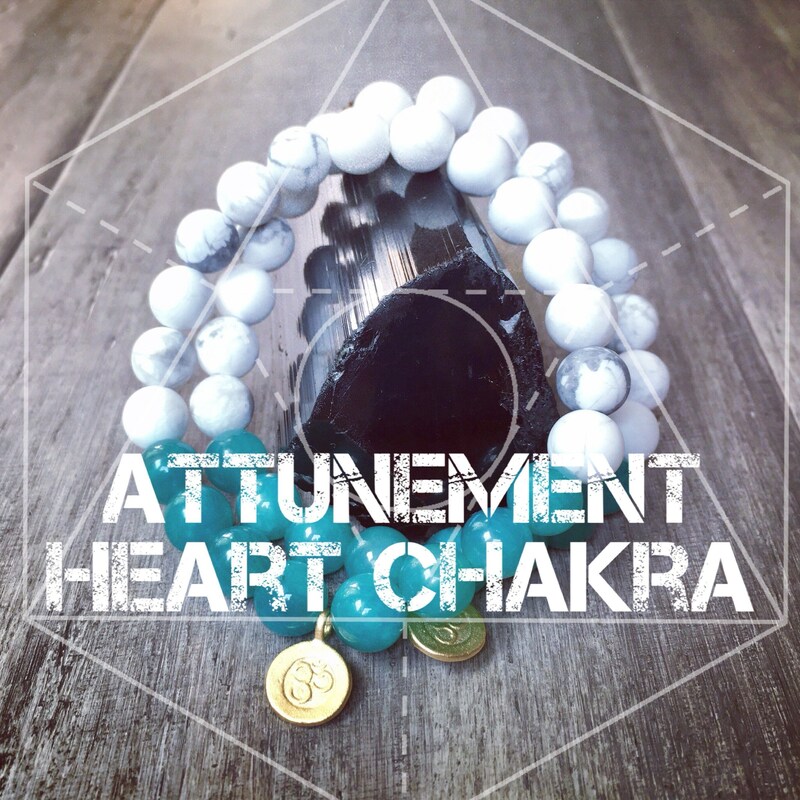 Bring Attunement and Opening to you Heart Chakra with our Heart Chakra Attunement Mala Bracelet. 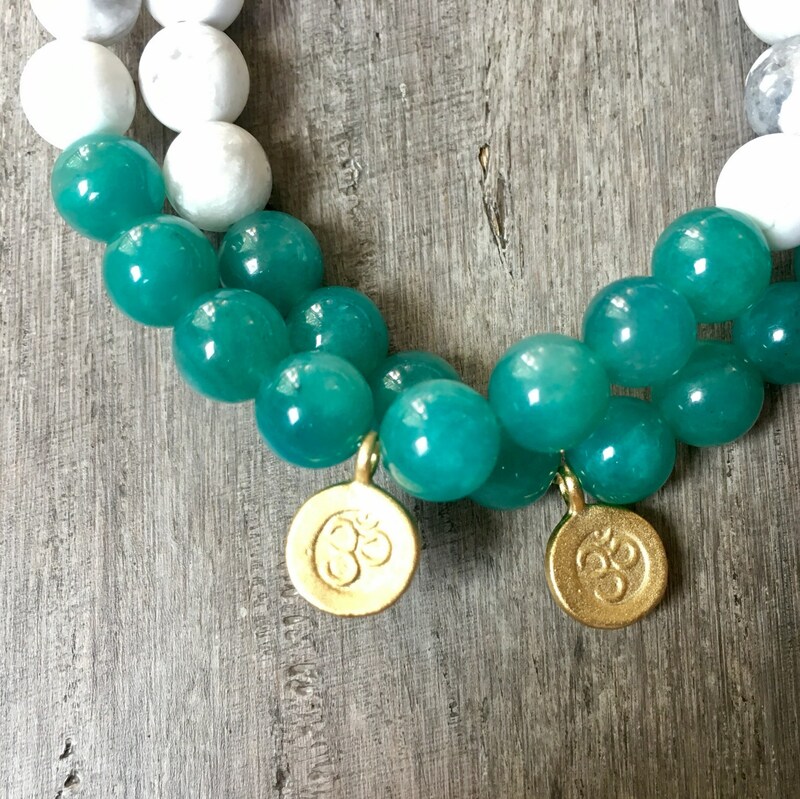 We offer these bracelets in five sizes: 6, 6.5, 7, 7.5, and 8 inches. A women's regular wrist size is 6 inches, and a Men's regular wrist size is 7 inches. Unsure of the right size? Just measure your wrist, right below your wrist bone. It's that easy! 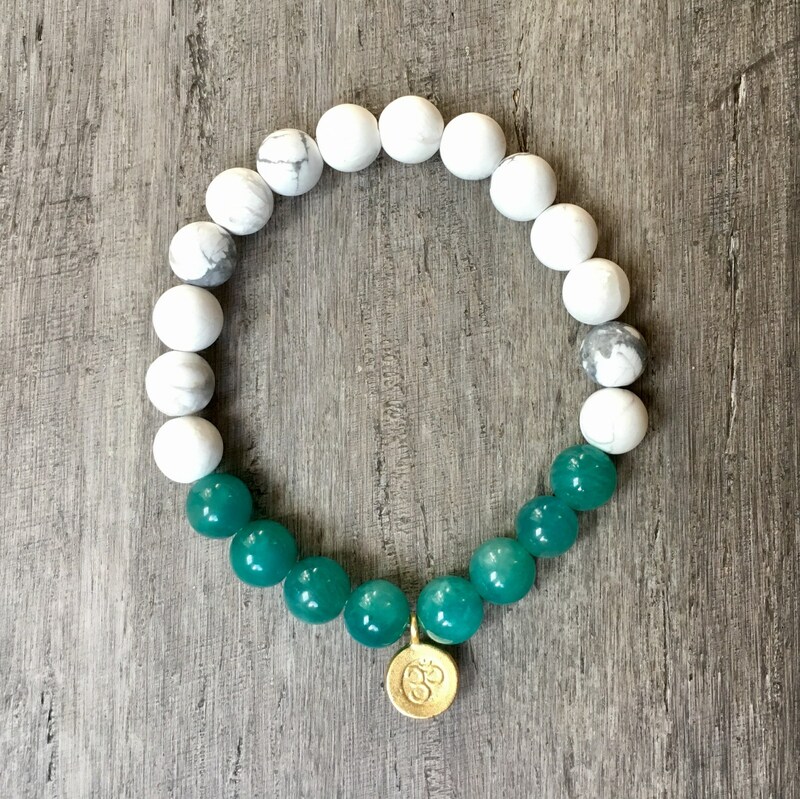 With it’s amazing green color, it’s no surprise the Amazonite is a Heart Chakra gemstone. 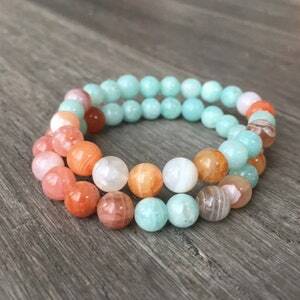 Soothing and dispelling negative energy, Amazonite assists in manifesting universal love. Amazonite also has the ability to soothe ones chakras and aligns the physical body to the etheric. 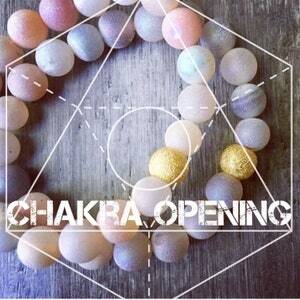 It is particularly rejuvenating to the Heart and Throat Chakras, enhancing loving communication on all levels. Amazonite also empowers us to manifest our dreams and desires by magnifying our intentions. Because it works through the Throat Chakra, these intentions must be spoken aloud. By holding an Amazonite and forcefully affirming aloud what one wishes to create it can powerfully enhance one’s ability to bring it into being. 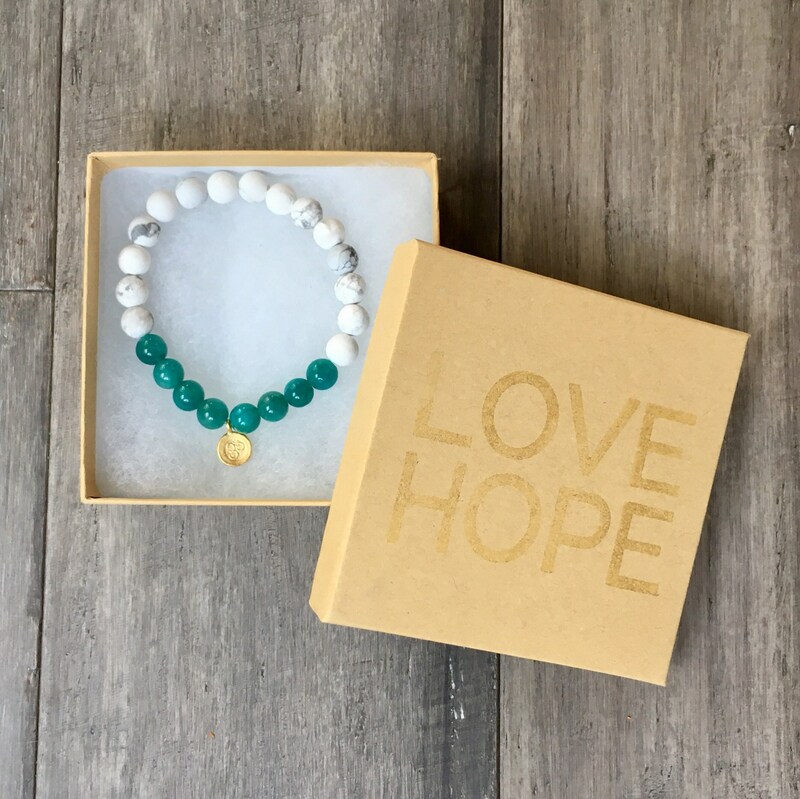 Amazonite is a Barrier Filter crystal that blocks geopathic stress, absorbs microwaves and cell phone emanations, and protects against electromagnetic pollution. Everyone needs this amazing gemstone. 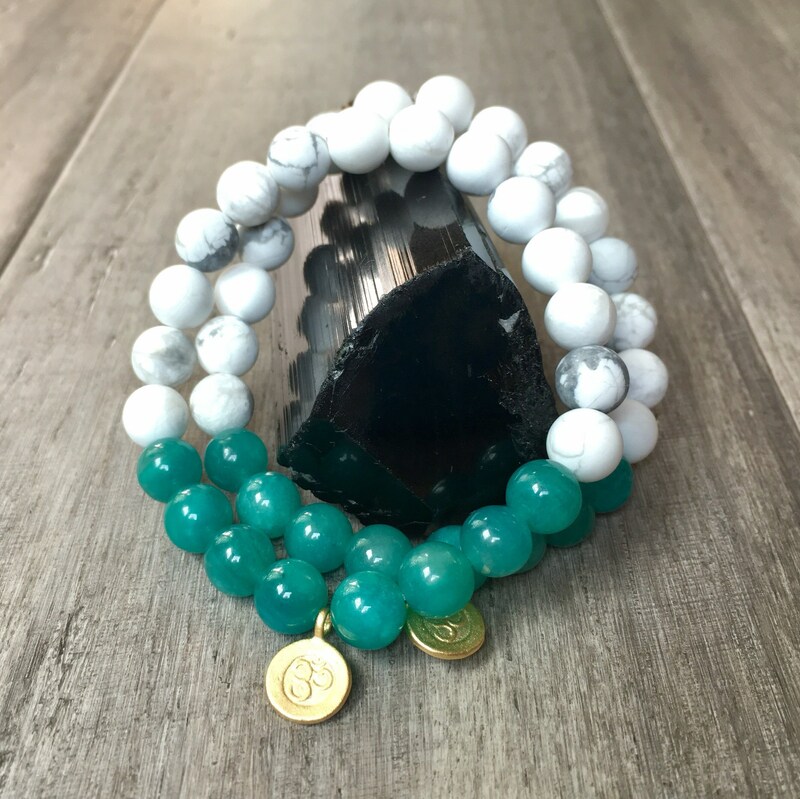 Howlite is a Crown Chakra Stone, yet is beneficial to all of ones Chakras, which is why it is one of the “attunement stones” which link the user to higher spiritual consciousness. 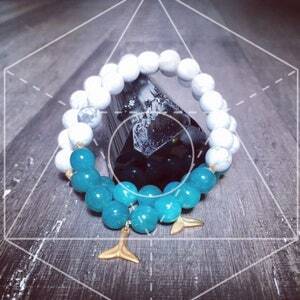 Howlite opens and prepares the mind to receive the energies and wisdom of attunements. 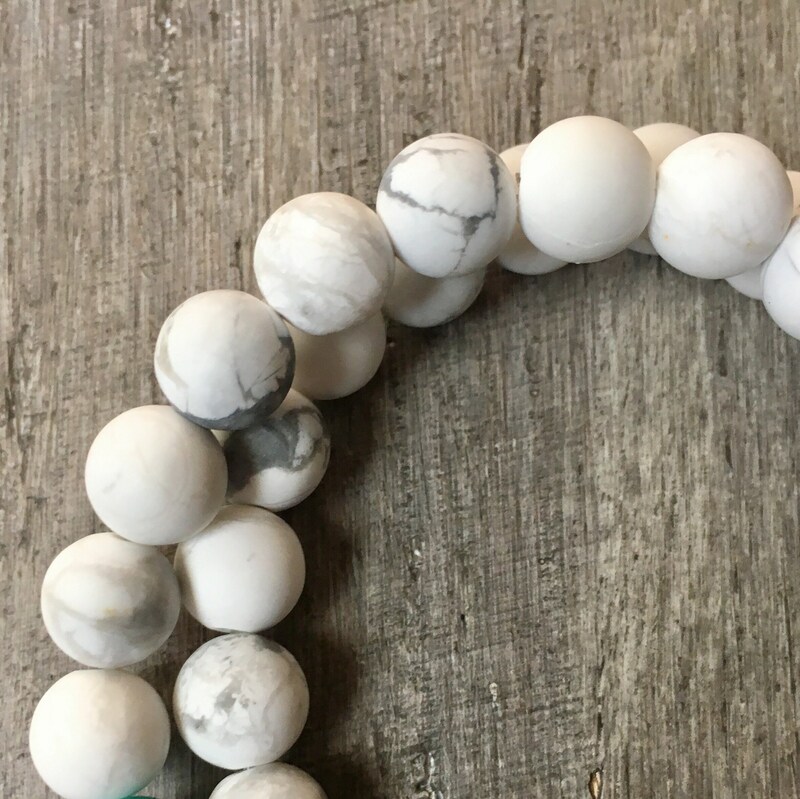 Howlite is the perfect stone to use when needing to reduce anxiety, tensions and stress. Howlite can be used to facilitate awareness, encourage emotional expression and assist in the elimination of stress. Physically, Howlite can help with the absorption of calcium into the bones and teeth, and can balance the emotions. 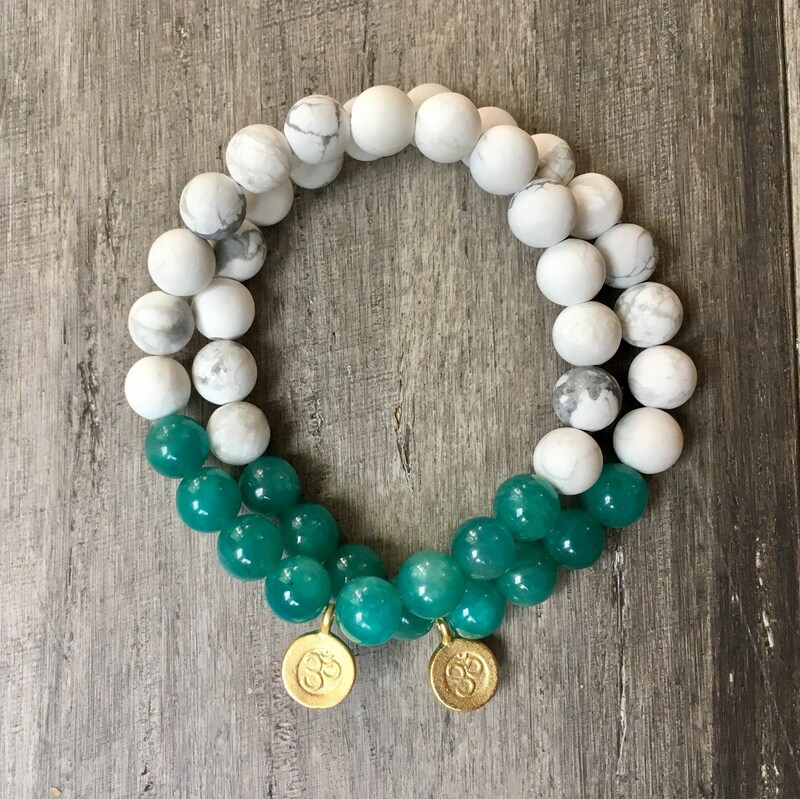 Howlite also assists in relaxing and releasing muscular tension. Also, Howlite will calm and soothe the emotions, slow the overactive mind and help to achieve a deep and restful sleep. Om is considered one of the most sacred mantras. Sounding the tone of”OM” creates a vibrational frequency of harmony in the body. The sound of the “OM” is the sound of creation and symbolizes the infinite.It connects our inner world to the greater outer and beyond, it aligns our energy and creates a feeling of openess and expansion. 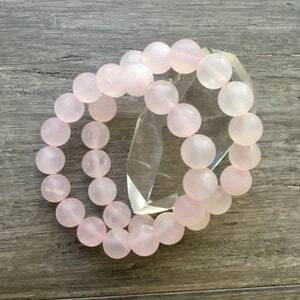 We use the highest quality materials to hand craft our Mala Bracelets. Spread some love! Bring more love and happiness into your Life everyday, you won't be disappointed. Payment is at the time of purchase. Cancellation why? but must be within 24 hours, for after that the item will have shipped. Must be returned within a week of being received and unworn/unwashed. Must be in it's original condition, with tags attached. Basically we want you to be happy. If for some reason your not, let us know, we'll make it right :). All designs are protected by copyright.